Joe Anderson is the guest in the season 3 finale episode of “The Grand Cast”. Part 1 of 2. Part 2 is here. Joe Anderson joins the Cast in the season 3 finale of “The Grand Cast”. Part 2 of 2. Angelika Lee is the guest in this week’s episode of “The Grand Cast”. Part 1 of 2. Part 2 is here. Angelika Lee joins the Cast in this week’s episode of “The Grand Cast”. Part 2 of 2. Lis Hatfield is the guest in this week’s episode of “The Grand Cast”. Part 1 of 2. Part 2 is here. 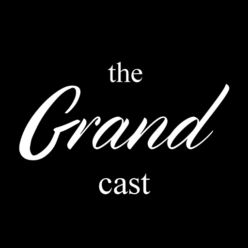 Lis Hatfield joins the Cast in this week’s episode of “The Grand Cast”. Part 2 of 2. Zach Horn is the guest in this week’s episode of “The Grand Cast”. Part 1 of 2. Part 2 is here. Zach Horn joins the Cast in this week’s episode of “The Grand Cast”. Part 2 of 2. Biiko is the guest in this week’s episode of “The Grand Cast”. Part 1 of 2. Part 2 is here. Biiko joins the Cast in this week’s episode of “The Grand Cast”. Part 2 of 2.